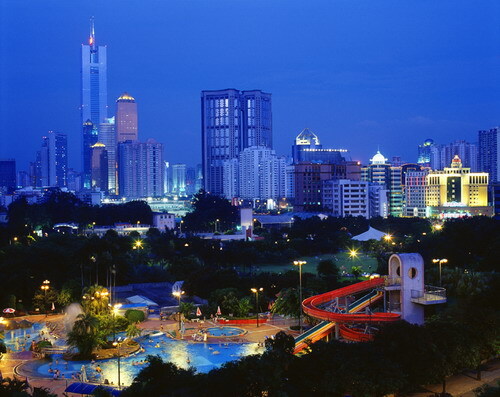 Known to the west as Canton till 1949, Guangzhou is emerging as a world-leading trading destination. 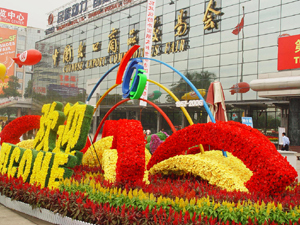 This city also plays host to the Canton Fair since 1957. Renamed the China Import and Export Fair in 2007, this trade fair is the largest in China with over 15,000 exhibitors. 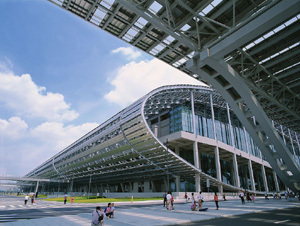 Not only is the Canton Fair witness to the largest attendance but the highest number of deals are struck at this venue. What a lot of Canton Fair attendees might be unaware of is that the venue for the trade fair, which had been hosted for the past 35 years in the YueXiu District of Guangzhou, has been shifted to the Pazhou Exhibition Center in October 2008. This means that when one is looking for accommodation in Guangzhou, one needs to look at Guangzhou Hotels that are close to the trade fair venue. The good news is that with the Asia Games due to be hosted in Guangzhou in 2010, this region has seen huge improvement in hotel accommodation with numerous new Gaungzhou hotels coming up over the past few years. Almost 30 hotels have opened in Guangzhou every year since 2005 and most of these hotels are in the Tianhe and Pazhou districts. With the city centre shifting gradually to the Tianhe and Pazhou districts from the old city centre of YueXiu District, choosing hotels needs some thought. Most people traveling to Guangzhou might be more familiar with the older hotels that have been there for a long time and have proven their excellence. The fact, however, is that newer hotels have much more to offer in terms of facilities and comfort. According to Ken Lin, Manager of Canton Fair Division, Wentrip.com Guangzhou Office, with newer hotels offering better pay packages, they have been able to bag the best talent in the hospitality industry. The staff of a hotel always plays a crucial role in how memorable one's stay is. With state-of-the-art amenities, the newer hotels win hands down over the older, albeit more established, hotels in Guangzhou. Possibly the most important aspect to look at is the pricing. Newer hotels offer rates that are 20-30% lower than the older hotels. New hotels, in their attempt to attract more customers, offer various discount packages that work out significantly more economical than staying at the older Guangzhou hotels. The last aspect to consider is travel time. Staying close to the venue definitely makes more sense in a city like Guangzhou, known for its traffic snarls. Choosing a hotel in YueXiu District will mean 1.5 to 3 hours of travel by taxi or shuttle to and from the Canton Fair. On the other hand, by choosing accommodation in TianHe District one can cut travel time down to 15 to 60 minutes. Staying at a hotel in Pazhou means a short travel of 15 minutes by taxi or shuttle to and from the Canton Fair. Although all the above factors do narrow down one's choice, there still are numerous hotel options to choose from. Those traveling for the first time to Guangzhou or those who are unfamiliar with the region, might need some guidance about accommodation and travel in the city. The Wentrip.com Professional Canton Fair Division specializes in offering free guide and hotel recommendations that can help travelers choose a hotel that meets their budgetary needs and preferences and make their stay in Guangzhou a memorable one. Copyright©2016, CantonFairTravel.com All Rights Reserved.